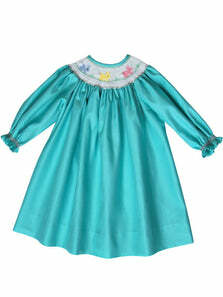 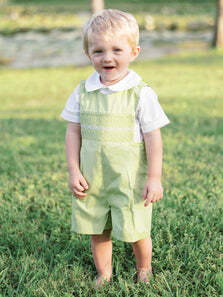 Thank you very much for considering our Easter and Spring hand smocked and hand embroidered clothing and dresses for your little girls and boys outfits, from new born dresses to older girls 10 years old, we love to offer them a traditional creations that will create everlasting memories of your children childhood moments and I am sure you will treasure this garments for generations to come. 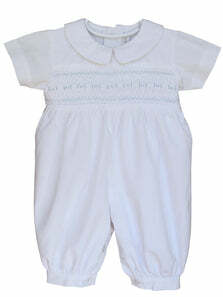 Angelic Girls White Bishop with Roses SOLD OUT. 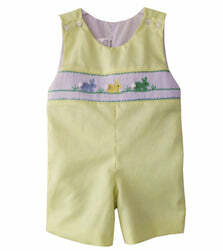 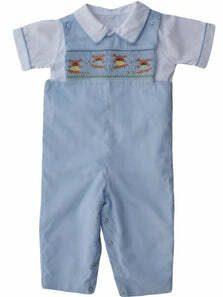 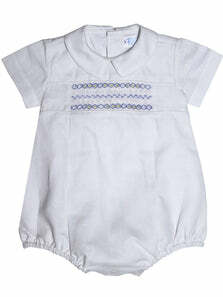 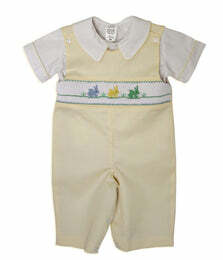 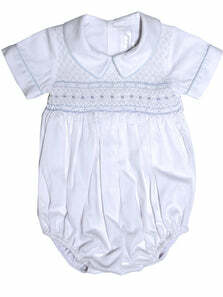 Baby Boys Hand Smocked Easter Bunny Longall, Free with $100 purchase. 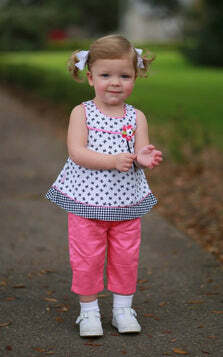 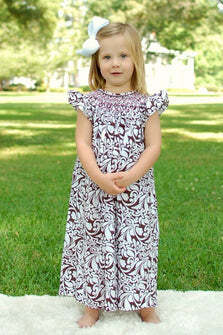 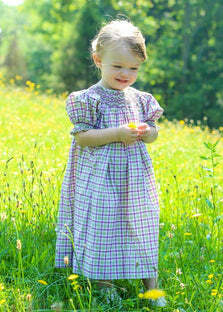 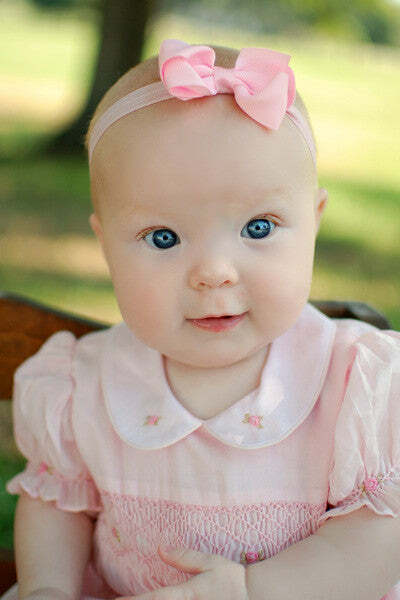 Baby Girls Dress with Pink Pants 1 free with a $75 Purchase.